When faced with a hard deadline you are forced to make decisions fast. 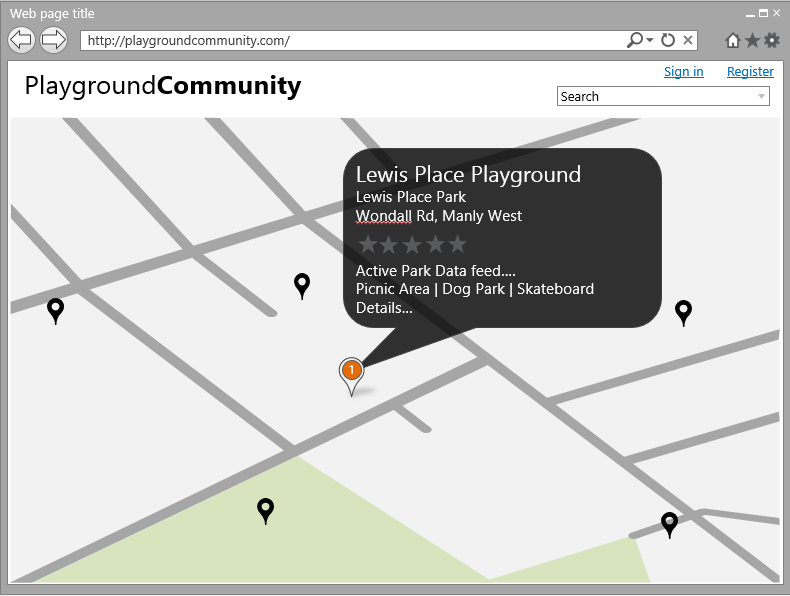 Below I am going to detail briefly the design decisions that took place to deliver PlaygroundCommunity for the hack::data competition. As I stated in my last post, Developers’ Weak Spot, time and time again I fall for this trap. 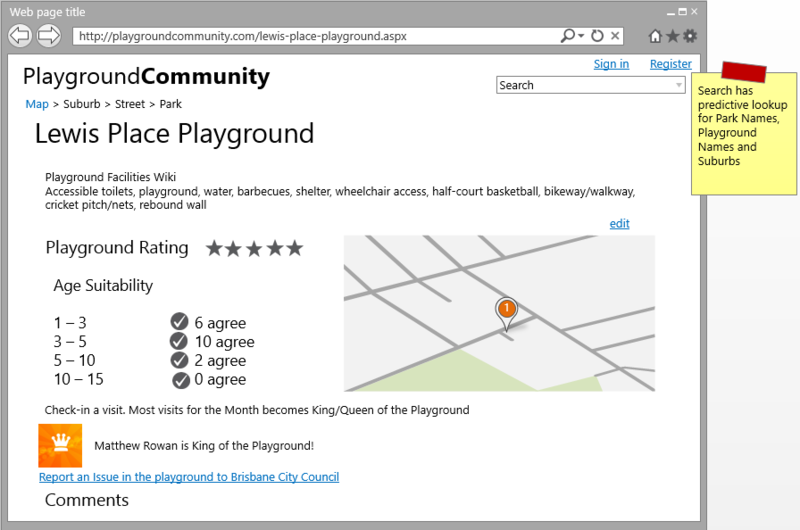 In PlaygroundCommunity I started all wrong. I thought, after my success of the Kindy Web Site, surely there must be a good platform for me to begin this site with. It could give me logins, forums, comments, Facebook integration etc. So began the search. I fired up the Microsoft Web Platform installer and had a look at the open source .NET based blog, forums, content management systems, to find something just right. What I found was that I had fast headed out in the wrong direction on a new project and completely wasted my time. After I waste my time, I started again. It still starts with the idea. From the idea you generally cannot help thinking of all the things the application could do. A feature shopping list. Only do this briefly. You don’t even need to write this down and can skip it completely. Coming up with features is usually easy. You need to put all that aside and think of the user experience (UX) and the work flow that is desirable for your users first. When that is taken into account, requirements that sounded good on their own, that don’t fit in the UX get dropped easily. The same goes for discovering features that fall out of the workflow that would not have been easily considered on their own. Always come from the user perspective when considering a new feature. It is like grocery shopping. You plan your meals for the week, check out the recipes and then build a shopping list based on what you need. From here you can see how close the end product came. I had a few changes on the mocks after consulting a couple of people before I even started coding. It was easy to determine what could also be cut to be able to make the deadline. What makes it interesting is due to the clear scope I was then able to take a risk and use technologies I had no previous experience with, for my learning and improved user experience.